Cumin originates from Iran, India and the Mediterranean. Cumin is the dry seed of the herb cuminum cyminum, a member of the parsley family. This seed has a distinct flavor and warm aroma. Cumin has a striped pattern of nine ridges and oil canals, and are hairy, brownish in color, boat-shaped, tapering at each extremity, with tiny stalks attached. They resemble caraway seeds, but are lighter in color. Cumin is sold in seed form and already ground, each type should be added to dishes in certain ways to get the best use out of the spice. India produces 70% of the world’s cumin supply and consumes 90% of that. Cumin is a major ingredient in curry powder and Indian dishes. Ground cumin is already in powder form, you can use it in spice rubs to season vegetables or meats for use in many dishes. The flavor is immediately detectable on the food, no matter how quickly it is cooked. Whole cumin seeds work best when added to a broth where the seeds have the chance to heat up and the oils to disperse the flavor into the dish. Cumin seeds can be used for marinades, such as with Worcestershire sauce, garlic and oil to season food for extended periods of time before cooking. Cumin is used mainly where highly spiced foods are preferred. 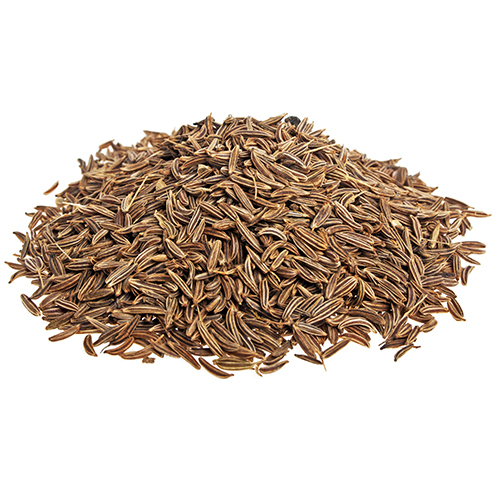 Cumin is a drought-tolerant, tropical, or subtropical crop. In India, cumin is sown from October until the beginning of December, and harvesting starts in February. Â In Syria and Iran, cumin is sown from mid-November until mid-December (extensions up to mid-January are possible) and harvested in June/July.